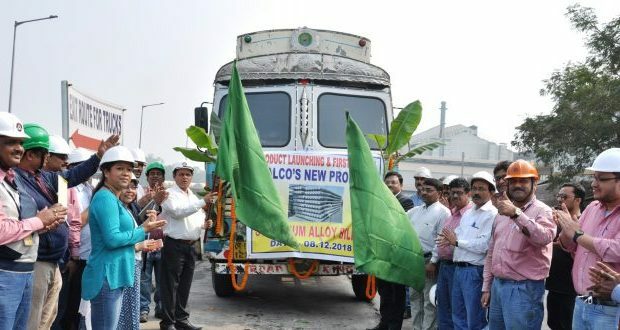 Bhubaneswar, 11/12/2018:National Aluminium Company (NALCO), a Navratna PSU, under Ministry of Mines, added one more feather in its cap by producing a new product, Strontium Modified Aluminium Billets CH-91 grade, as a part of its product diversification. 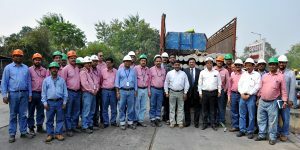 Produced in the Company’s Smelter Plant at Angul in Odisha, the first consignment of the new product was despatched to M/s Jindal Aluminium Ltd., Bangalore on 8th December 2018. This product would technically benefit the end-product manufacturer, with decreased energy consumption and improving the overall productivity and output of billets. With this product, the customers can attain better surface finish with increased metal recovery.